I think I could describe it as taking Jekyll and Hyde on holiday, Noah is one minute the perfect tot & in nanoseconds, a monster! It’s pick and choose when you do things and you’re always conscious of the mood he’s going to be in. 20 months old, so I don’t expect too much, but this holiday has proved to me that Daddy does! At home I do things based around Noah and what time it is, make sure he’s eaten and most importantly make sure he’s had his nap or can have it! Here he’s been going to bed at 11pm-midnight most nights & waking up at 8/9am for breaky and having hour naps in the afternoon. He must be exhausted now were coming to the end of our holiday! 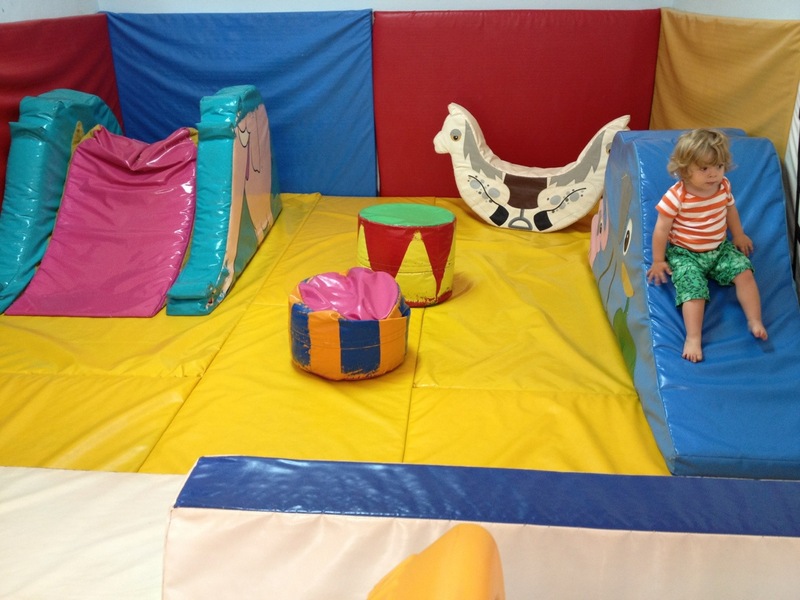 They have a soft play area here in the hotel, which has been great for letting him run around and have his Hyde moments… It’s quite funny to watch him tear around. He loves shouting in all the halls here too, echoes are amazing fun when you’re a little one! He’s been eating extremely well and mealtime routines have shifted somewhat, but he’s eating a lot better! So maybe that should tell me something. We have breaky approx 9am, lunch around 1:30pm and dinner around 7/7:30pm ish! At home I feed him lunch earlier and dinner about 6pm. No wonder he never eats lunch, he’s obviously not been too hungry. 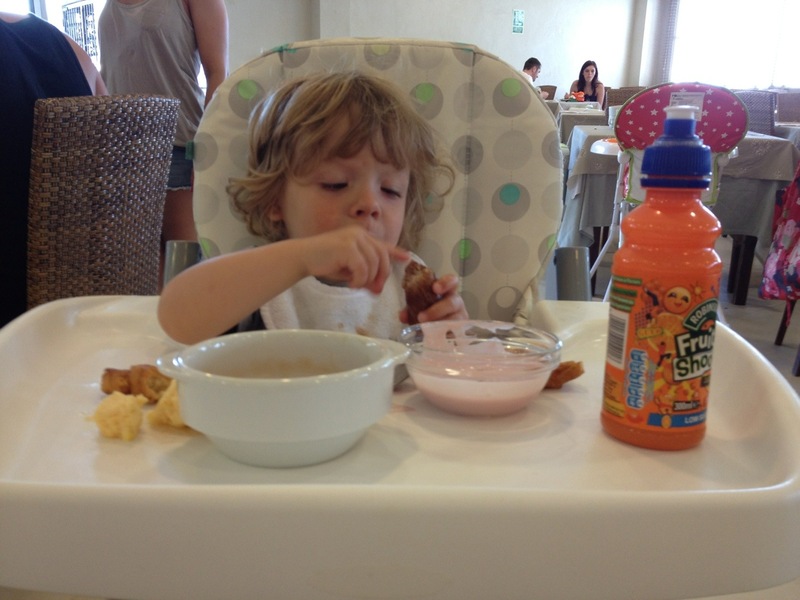 He’ll eat anything which is fab, he’s been eating squid rings, paella, fish and all the kiddie foods too. He’s learnt how to use his cutlery properly whilst on holiday and he can use a cup too. Woohoo!! Hopefully his teething will pass soon & we can all get some sleep at night… Oh and have a whine free day lol. Bless him!